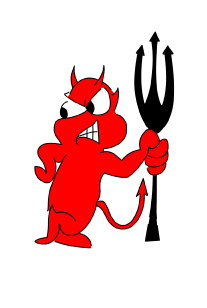 The mini devils have been up and running for 2 months now and are very successful. We have approximately 40 members now and the team is running strong. The mini devils train on a Tuesday night at 5:45 pm to 6:45pm. The mini devils are also looking for fresh new members to join and for new volunteers to help with the running of the club. The mini league will be starting soon for the mini devils to play in. So far the mini devils have played three friendly against the Easterhouse panthers, Bellahouston Bears and the Springburn Sharks and are playing very well. The local primaries that are involved are St Angelas, Darnley, St Vincents and Arden. The primary 7 S1 team have also been very successful this year by being runners up to Easterhouse panthers in the league. The Mini Devils and the Darnley Devils are competing in a festival with three other clubs in Glasgow Green on the 2nd of May. Also there will be a skill centre there to help the kids improve their skills. The new league starts on the 7th of May, and for this we have 3 coaches passed there assessment and are now qualified to referee games. Darnley Devils will be running a festival in June at King George playing fields for the future Devils from 4 local primary schools aged primary 2,3 and 4. Well-done 3 of our team players from the Darnley Devils have been selected to play for the Glasgow District team.